Between 1857 and 1889 Sheffield had 95 football clubs and we shall be looking at some locations associated with these early clubs. 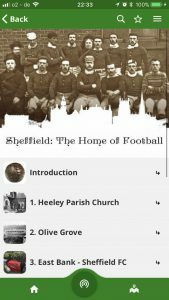 The “Sheffield: The Home of Football” free walking app will take you on a heritage tour around the historic footballing hot spots that shaped not just Sheffield football, but football worldwide. 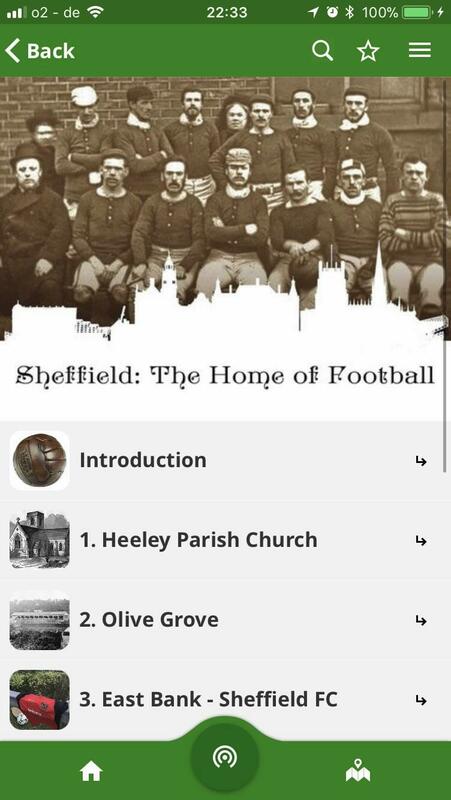 While visiting the ten stops you will be introduced to the places and the people that made Sheffield the home of Association football. 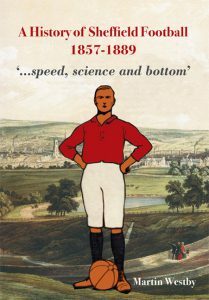 Enhanced with audio clips and map mash-ups showing Sheffield in the 1850s and today, you will be transported back to the Victorian era when the world’s first football club started. 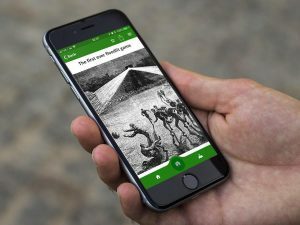 The journey will cover the second half of the 19th century telling the stories of the first football derby, the world’s oldest Football Cup and the ancient football grounds where the games were played, many now long gone. The app was designed and written by Martin Westby and John P. Wilson. On April 22nd 2018 a launch walk is planned -to attend please book here. In 2013 we ran our football festival and here is the Heritage Lottery Fund’s video of the football festival which shows the Sheffield’s historical importance to the modern game of football. This is ITV’s coverage of the schools playing by the historical rules. The project will involve school pupils investigating a number of archives under the guidance of teachers and football historians. It will involve many hard to reach pupils and communities, as well as use an array of resources on Sheffield’s doorstep, including football clubs, libraries and local associations. 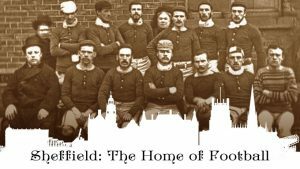 The secondary school students will identify material to produce an historical record in the form of a football programme and recreate a traditional game of football using the Sheffield Rules from 1857. This blog will record and share the findings of the project.